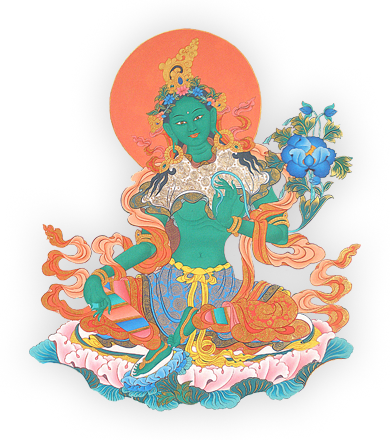 Join us from 10 am (sharp) to noon on Sunday mornings for the widely-practiced Green Tara sadhana, led by Tulku Sherdor. We chant in Tibetan, with English phonetics and translation available, but no previous experience is required to participate. Do let us know in advance if you plan to attend.